What better than the combination of two delicious Scandinavian berries? The fresh sweetness of Raspberry mixed with the mouth-watering allure of Blueberry. I know we can’t resist! 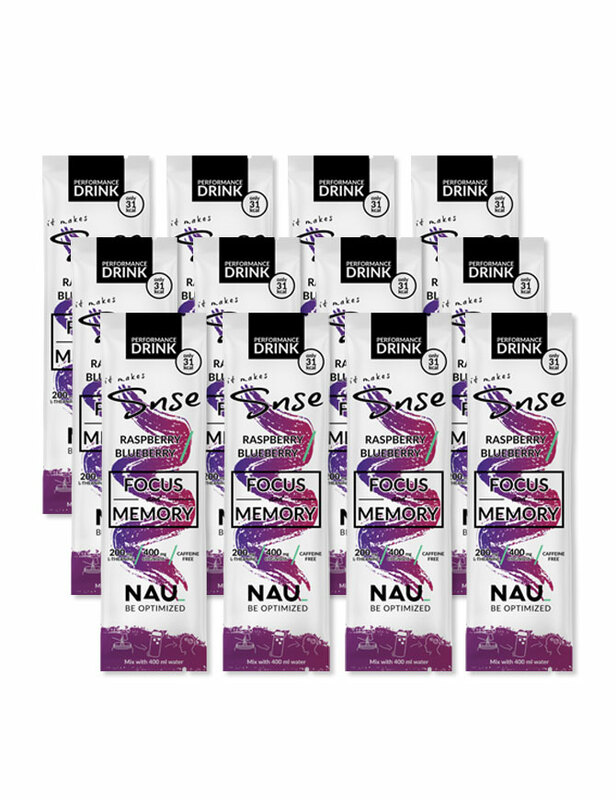 Nau Snse is a natural powder based drink that gives enhanced and long-lasting focus, memory and processing speed. Scroll down to learn more! 30 Servings in one big bag. What is NAU Snse? We have used a formula consisting of L-theanine, Cognivia, Lemon Balm, Vitamins & Magnesium to give you the focus you need while gaming. Feel free to check our full label on what’s inside! We have nothing to hide. L-theanine is an amino acid that helps regulate brain function. Studies show that it can improve your focus and alertness. Cognivia is a branded combination of Spanish Sage and Garden Sage, two natural ingredients that can help you improve memory, alertness and learning process. Lemon Balm is a herbaceous plant that has a relaxing effect without giving you any drowsiness. Vitamin B3, B5, B6 and Magnesium have all a function to avoid fatigue. What if you had a formula that could improve your concentration without giving you any negative side effects. A formula that works both during the day and late at night without interfering with your sleep. A formula that won’t give you a nasty energy crash, jitters or palpitation. 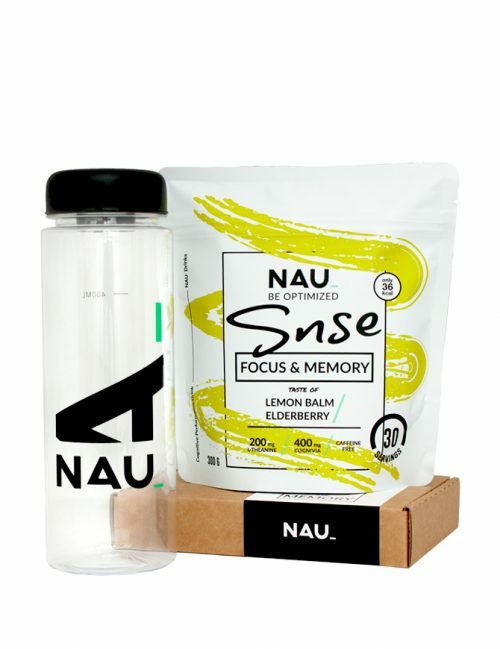 Experience NAU SNSE, your next level focus drink. Nau has been designed with one purpose, to give you better focus and reaction speed. 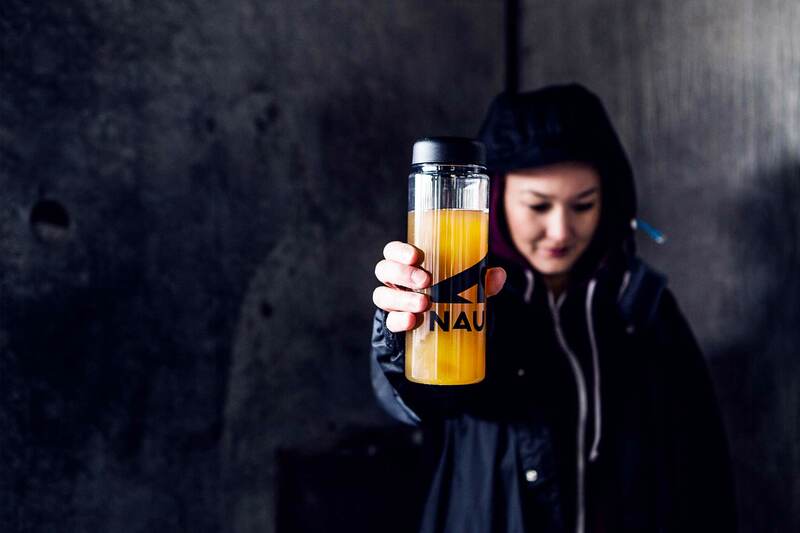 The development of Nau enabled us to remove a lot of unhealthy ingredients that exist in the energy drinks you find in stores. 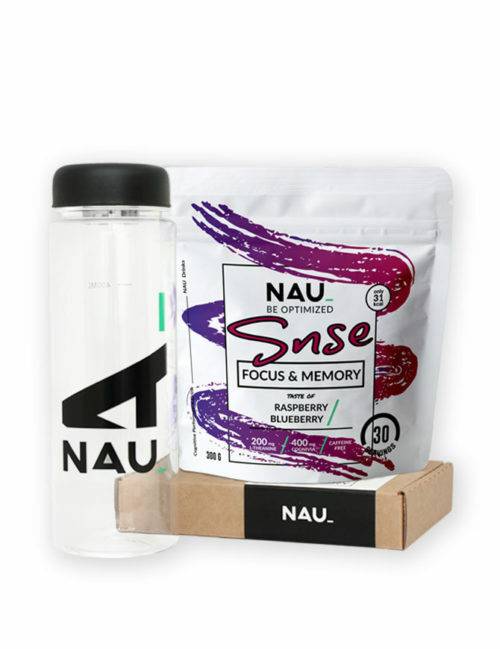 NAU Snse does what an energy drink wishes it could for gamers. 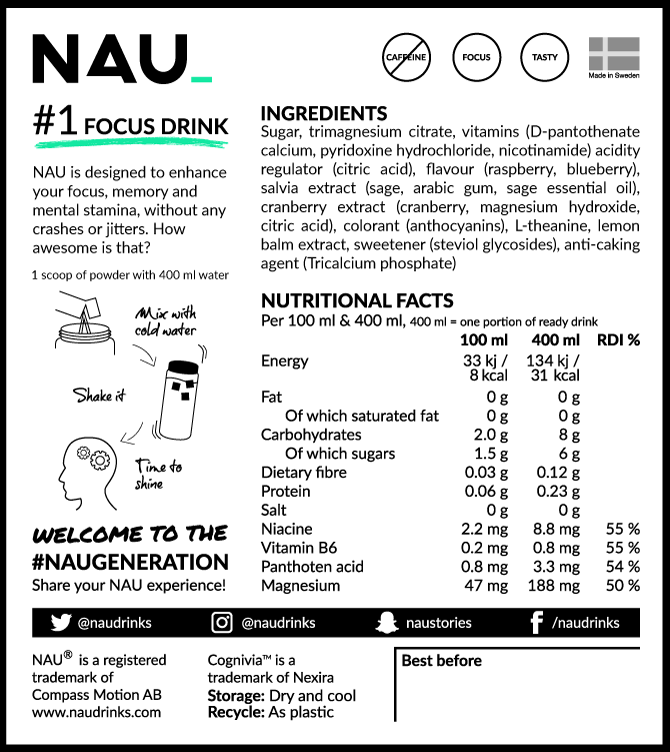 Instead of blocking your adenosine receptors with stimulants Nau acts directly on the neurotransmitters to increase your focus and making you more alert. The fusion is called Cognivia.  Studies have shown that it may help you increase memory, alertness & learning process. 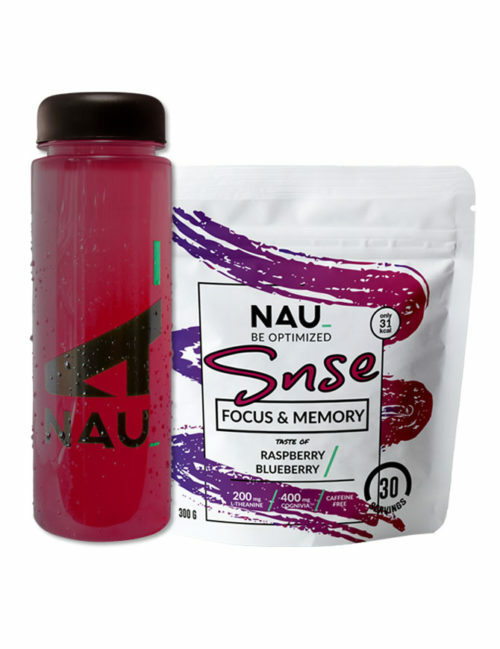 As an added bonus, we infused NAU Snse with cranberry extract for that extra antioxidant boost. Improves performance by reducing stress & increasing focus, boosting alertness & sharpening your mind. To prevent fatigue, we added the essential vitamins B3, B5 & B6 together with Magnesium.  The active ingredients in Nau Snse have in clinical trials showed to improve alertness, attention and speed of memory.